"Massage Therapy Bakersfield - Be Treated By Certified Massage Therapists | Core Chiropractic + Wellness"
At Core Chiropractic + Wellness, we take pride in being the premier Bakersfield chiropractic and massage therapy center, offering the best massage in Bakersfield. If you are looking for a relaxing massage therapy session in Bakersfield, then let one of our certified massage therapists work the stress, anxiety, & pain out of you. Massage therapy is covered by many health insurance plans. Call us today to schedule your appointment. This massage therapy approach is a vigorous system of treatment designed to energize the body by stimulating circulation. Benefits of Swedish massage may include generalized relaxation, dissolution of scar tissue and improved circulation. These are specific massage techniques that have been shown to reduce pregnancy discomfort and to enhance the physiological and emotional well-being of both mother and baby. All massage therapists at Core Chiropractic + Wellness are prenatal certified. Massage therapy can be given directly after birth and in the days following to help reduce backaches, stress, fatigue and even postpartum depression. 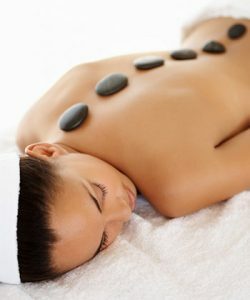 The use of heated stones on the back, hands and between the toes helps to alleviate pain and to relax the muscles. This is then followed by a traditional massage. This type of massage is aimed at the deep tissue structures of the muscles and is focused to release chronic muscle tension or knots. To schedule an appointment please call us at: (661)-410-9355.